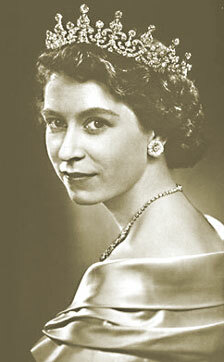 Elizabeth the Second, 1952 to present. 21 April 1926, 17 Bruton Street, London. Elizabeth Bowes-Lyon (1900 - 2002). 20 November 1947, Westminster Abbey. 2 June 1953, Westminster Abbey. First Gulf War, August 1990. Death of Diana, Princess of Wales, 31 August 1997. Second Gulf War, March 2003.